 A small tooth clutch, designed for positive torque transmission. Point shaped backlash-free tooth profile. For engagement under limited relative speed. Suited for horizontal and vertical mounting. The torque connection is effected by the hardened face teeth with point-shaped profile. When the clutch is electrically switched off, the toothed armature body carrying the magnet body is retained in disengaged position by release springs. Version 1 - tooth angle 55° for disengagement under torque load. Version 2 - tooth angle 35° for higher torque transmission, if disengagement without torque load takes place.